I can almost imagine a Cajun Agatha Christie writing a cheap novel based on what’s going on in Caldwell Parish this week. 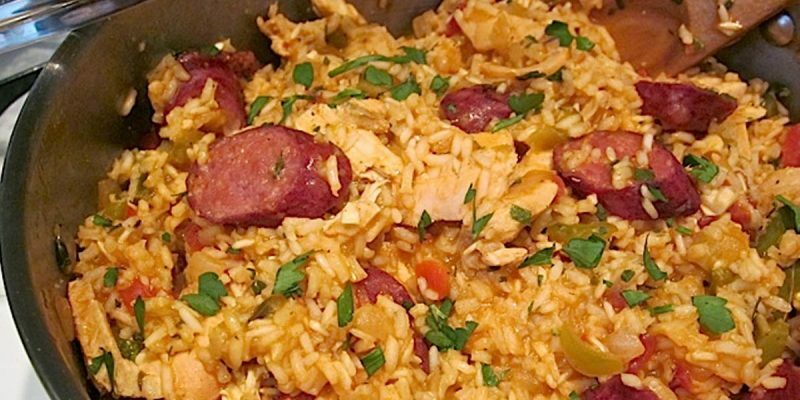 After hundreds of residents in the tiny parish got seriously ill following a local softball fundraiser, the Department of Health is guessing that the culprit is a bad pot of jambalaya that was cooked last weekend for the event. The News Star is reporting the sickness as a salmonella outbreak, with a possible death even occurring because of the pot. Louisiana’s Department of Health officials believe a mass outbreak of salmonella poisoning in Caldwell Parish that sickened hundreds and is suspected in one death can be traced to a jambalaya fundraiser for a softball team. Local and state authorities are trying to determine if the death of Duane Reitzell, 56, is linked to the food poisoning. As of Thursday, 49 cases of a gastrointestinal illness were confirmed with 31 people hospitalized, the Department of Health reported. The ages of those with a confirmed illness range from 15 to 70. It’s a big deal for such a small parish. The parish seat of Columbia only has about 400 people, and Mayor Richard Meredith is calling the outbreak unprecedented. So what was the problem? Bad ingredients? Maybe North Korea has finally decided to hit us where it hurts? Just jokes guys. Obviously this isn’t fun for the good people of Caldwell Parish, and this gets a whole lot more serious if there really was a death caused by the food. Apparently several businesses around town have been short-staffed this week due to the outbreak. Sometimes it takes a week for the symptoms of salmonella to even appear, so there’s a chance of even more people catching the bug. The Department of Health has been interviewing some of the sick and taking samples, so hopefully they’ll be able to pinpoint what the problem was.